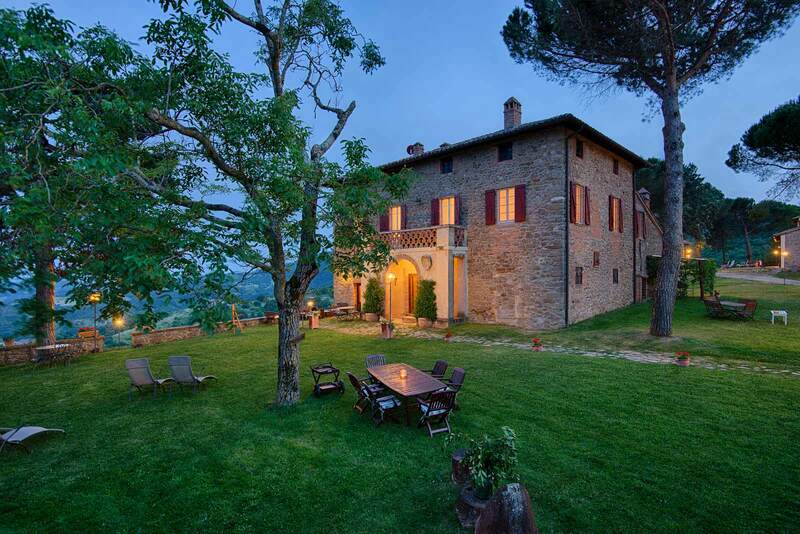 For your wedding in Cortona we have personally selected a spectacular venue for your wedding in a Farmhouse. This ancient farmhouse was destroyed during a fire in 14th century and was rebuilt with the village during the next century. 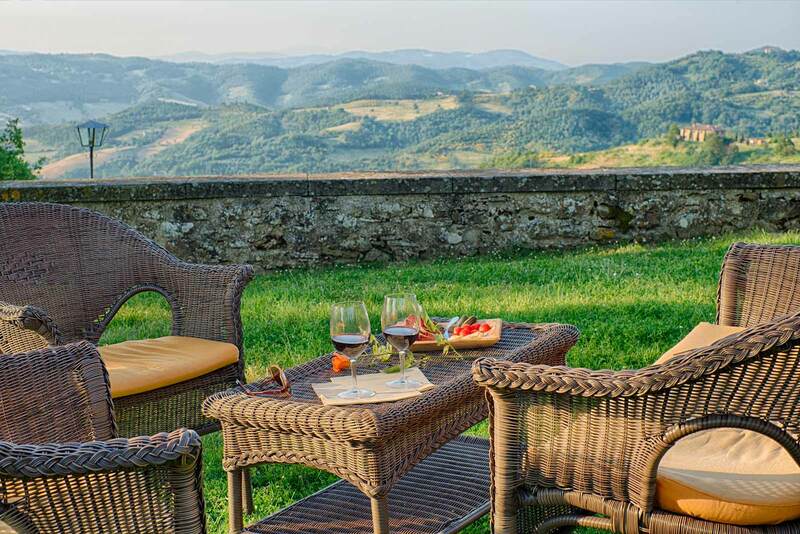 The apartments have been renovated with traditional Umbrian and with wooden furniture, are divided into four villas, all close to each other, with common spaces pool with views on woods of chestnut trees, oaks and hills of olive groves. 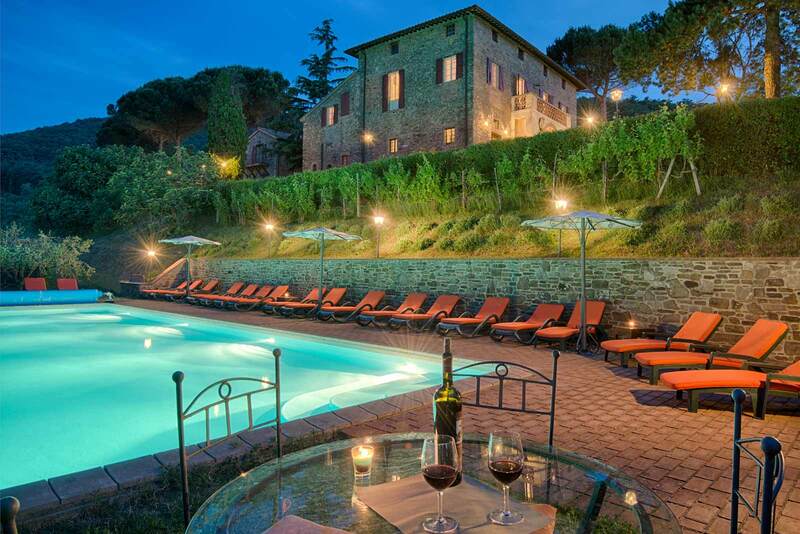 The villas are located in a property of about 800 acres that ensures privacy and tranquility. Spacious gardens and a fantastic swimming pool (heated from early May) make that this old farmhouse is the perfect solution for those looking for the perfect place for an intimate wedding. You can enjoy birds singing and the air limpid, and the atmosphere is really quite impressive. 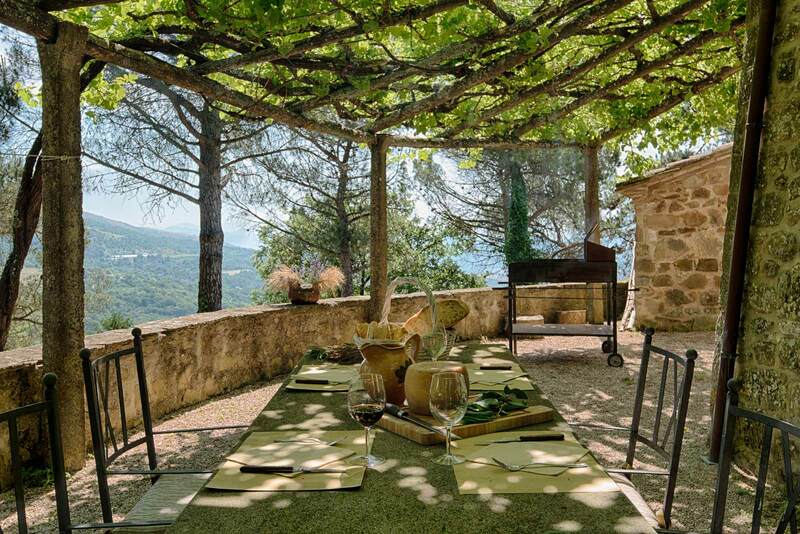 The beautiful hills of Umbria will provide the backdrop to the picture of the newlyweds with family and friends, you can toast with your guests in front of a breathtaking view in a beautiful garden. Start your wedding dinner with a fantastic sunset that touches the hills and continue for a dinner under the stars. 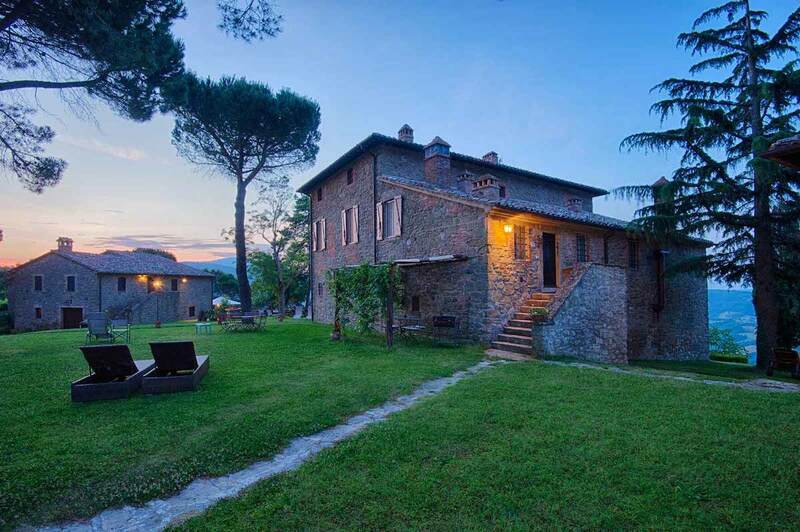 We’ll be happy to give you further information about this typical Farmhouse, contact us!